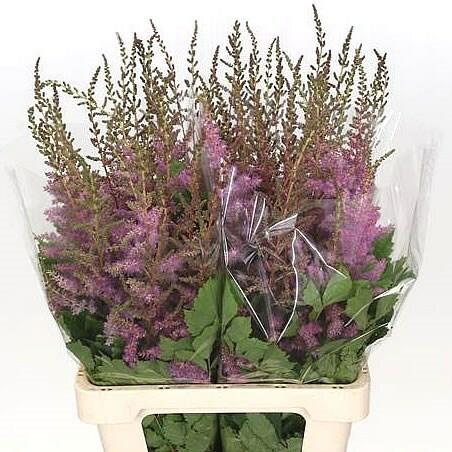 Astilbe Amethyst, also known as False Goat's Beard is a Pink / Purple cut flower & gives a beautiful softening effect to flower arrangements & bouquets. Approx. 70cm and wholesaled in Batches of 50 stems.